Iran’s Foreign Ministry took a swipe at Saudi Arabia’s crown prince for accusing the Islamic Republic of politicizing the Hajj pilgrimage, slamming the recurring allegations as an attempt to whitewash Riyadh’s failure to ensure the security of pilgrims. 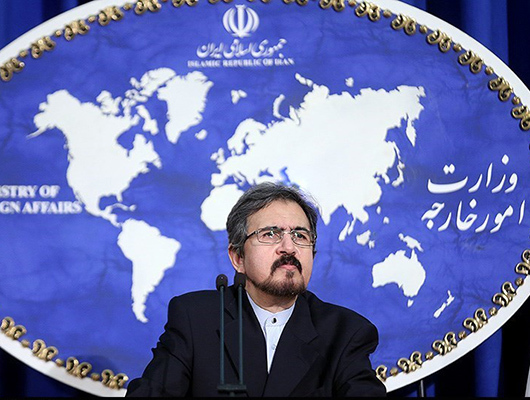 Iranian Foreign Ministry Spokesman Bahram Qassemi on Tuesday denounced the allegations raised by Muhammad bin Nayef bin Abdulaziz Al Saud, saying the Saudi rulers are trying to play a recurring and futile game to shirk responsibility for the death of thousands of pilgrims in a deadly crush of people in Mina during last year’s Hajj. The spokesman also reminded bin Nayef –Saudi Arabia’s crown prince, first deputy prime minister and the minister of interior at the same time- to recall his government’s failure to protect the security of Hajj pilgrims and provide an explanation for the tragic incident. The Saudi rulers that claim to be in charge of protecting the Islamic teachings must prosecute those at fault in the Mina tragedy who did not care about the lives of poor pilgrims and have defied the formation of an Islamic international fact-finding committee to probe into the tragedy, he noted. Not only have the Saudi rulers refused to express regret over the death of thousands of pilgrims, but are also directly and indirectly sacrificing the Muslim nations in the region for their deceptive political games, Qassemi added. In statement released through the Saudi Arabia’s state news agency, SPA, on Tuesday, the Saudi crown prince accused Iran of endangering the security of all Hajj pilgrims. He has also accused Iran of trying to politicize Hajj by using it as an opportunity to violate the teachings of Islam and disturb the security of pilgrims. More than 460 Iranians were among the thousands of pilgrims who died on September 24, 2015, in a crush in Mina, near Mecca, during the Hajj pilgrimage. The incident marked the worst ever tragedy during Hajj.